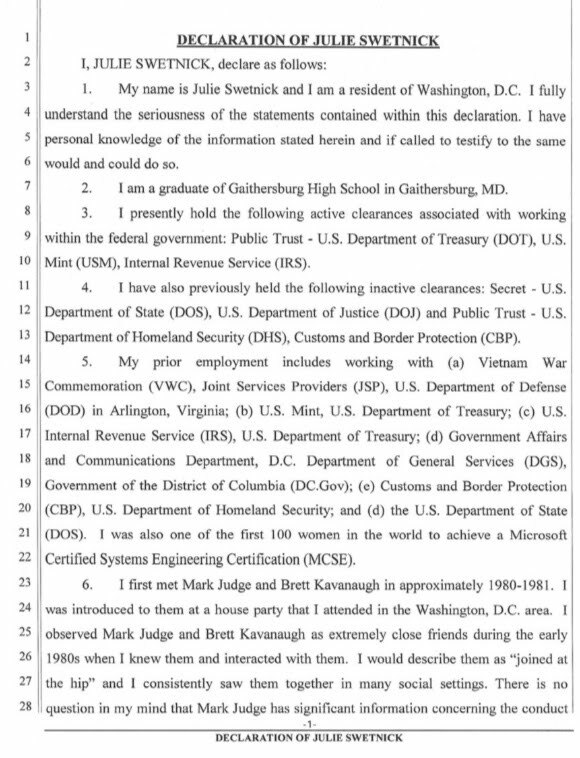 I have no idea if Julie Swetnick is telling the truth. I can say this: submitting a sworn affidavit carries with it criminal liability if she perjured herself. Also, as a clearance holder, giving perjured statements would be a career-ender. Take that for what it's worth. "This is ridiculous and from the Twilight Zone. I don’t know who this is and this never happened." If this is true, why did this woman continue attending parties frequented by these two predators? Asking a question of why a woman did not take the ordinary precautions to protect herself that a man would have been expected to is called "victim blaming" and you're a bad person for asking. As to perjury charges, that is unlikely. Nobody can prove anything one way or the other and even if lies could be proven the likelihood of a woman being charged for making false accusations are low. It could happen, but the odds are low. If you attend several of these parties, there's a point where you are no longer a victim but instead are supporting this behavior. If you see people getting raped and do nothing to stop it and dont report to the authorities, it is indeed partially your fault. A laughable accusation to say the least. You would have to be dope to believe it. And yes, why were these accusers at these parties? Don't women know better. 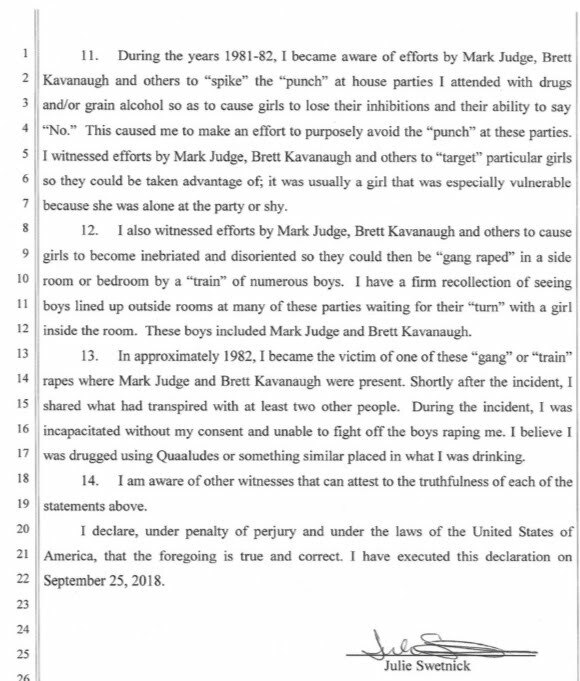 "I observed Brett Kavanaugh drink excessively at many of these parties and engage in abusive and physically aggressive behavior toward girls..." And yet she kept going back over and over. "I also witnessed Brett Kavanaugh behave as a "mean drunk" on many occassions at these parties." So don't let him drink and judge. "... at house parties I attended with drugs and/or grain alcohol so as to cause girls to lose their inhibitions and their ability to say "No."" An ability she'd lost long before the alleged crime and without the use of drugs or alcohol. "In approximately 1982, I became the victim of one of these "gang" or "train" rapes..." After which, she promptly filed a criminal complaint, right? Right? I could care less what the demons do to each other, but this kind of crap, if allowed to stand, will be used against decent guys too in courtrooms. 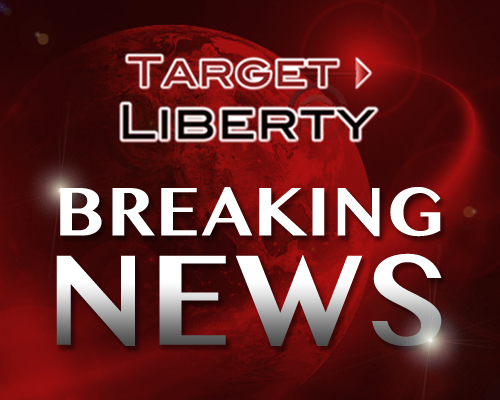 Regarding criminal liability for perjury, that assumes a prosecutor will indict her and a judge find her guilty. If the fix is in, the fix is in. Are the Democrats worried about how Kavanaugh will conduct himself at DC parties? Won't he fit right in? And are we sure he's not a Kennedy? It would be so refreshing to have even a single accusation that is corroborated by several, independent witnesses (vs. having multiple, uncorroborable accusations, errupting every couple of days). How convenient for the Dems.